- this dryer is fantastic !I can not say enough how pleasantly surprised I was at the performance of this dryer. I was hesitant to switch to a Samsung, but this got rid of any fears that I had. We purchased it about nine months ago and have been happy ever since. I debated between this dryer and a Maytag model and feel I truly made the right choice. The dryer is quick and efficient. The multiple settings insured that my sweaters came out great, but my blankets and heavier items were dried to perfection as well. If I had to list two cons to the dryer, it would be that the drying rack is virtually useless. Sweaters dry just as well without it , and without little dots of moisture from where they were laid on the rack. Second, I wish the capacity was slightly larger as I have children and do lots of jeans. The benefits / pros far outweigh the cons of this unit, as it dries on a multitude of settings and can accomodate any type of item. It also will handle a load as small as 2 or 3 items on a quick cycle, which is helpful when just a few items need to be done at the last minute. I recommend that if you are looking to purchase a dryer in the near future, you look at this Sansung model. It will not disappoint you. I like blogs that are fascinating to read. Reading is my favorite thing to do and I really liked the post written by you. Keeping you updated with fashion is only one online store. Regards Melisa Bush. Very remarkable article. People like you deserve to be a master. Thank you very much. I have read the post,you have mentioned about Samsung DV328aew Dryer which is very informative.I of good quality and quite popular. 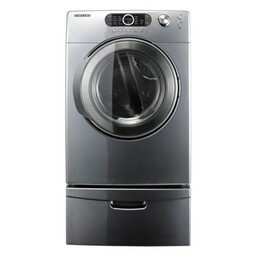 This post is actually about the detail od Samsung DV328aew Dryer. Well! You can say that this website is a great gift for the women. because in this website you describe about so many dryers and washing machines and techniques. I also found informative articles on www.ukbesteessays.com like this website. So, glad to find both of them.